How Are Poker Odds Calculated? - Casino Answers! Casino Answers » Poker » Poker Odds » How Are Poker Odds Calculated? How Are Poker Odds Calculated? 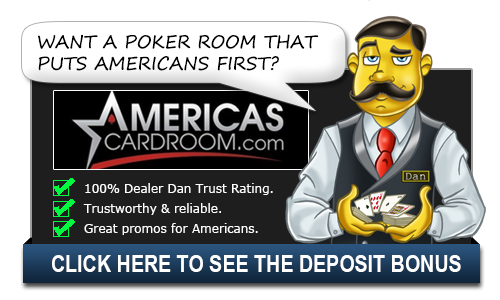 The concept of poker odds is something that professional poker players use often in order to establish the chances they have of winning a hand with a certain combination of cards. However, it is also a concept that casual players and novices struggle to get to grips with because it seems like such a complex idea and one that you have to have memorized for the amount of time you have to make a snap decision at the table. The simple explanation of how poker odds are calculated as outlined below will help you to understand them. Poker odds are effectively calculated to reveal how frequently each hand will appear in the game. The probability of each possible hand occurring is based on the number of 5 card hands that can be made with a deck of 52 cards and thus how often each hand will come up. In terms of this calculation, it stands to reason that the Royal Flush will be the rarest hand but a pair will be the most frequent. Poker odds are calculated by dividing the possible number of ways of drawing a specific hand by the total of 5 card hands possible. The possible number of ways of drawing a specific hand includes all combinations of one hand. For example, a straight could be a 2,3,4,5,6 hand or a 10,J,Q.K,A or any other straight in between. It can also be made from all four suits. However, a Royal Flush can only occur 4 times in any deck of cards. The higher the probability of a hand coming out of the pack, the lower the odds are of winning a hand. If you can get your head around that then you will begin to feel at home at the poker table. Always know that there are 13 of each suit in the deck and go from there. If you have a pair and are looking to hit a set, that means there are only two cards in the deck that can help you. If you are on an inside straight draw, that means there are only four cards in the deck that can help you. One thing to keep in mind while trying to calculate odds is that you are actually playing against some other people. While you may only need one card to make your flush that would mean that there are nine possible cards that can help you in the deck. However, that assumes that those cards are in the deck. What if your opponent is also playing for a flush draw? Those are two cards that aren’t in that deck leaving only seven cards that can help you. While a lot of this is implied within the odds, you still need to be aware at the table and see how people react to the hand that is dealt. They could easily be on the same draw as you and if you don’t have the Ace or a King, you might not want to get involved in chasing this draw.